According to recently announced estimates by Mexico’s Secretary of Tourism, Gloria Guevara Manzo, approximately 10.4 million tourists are expected to visit Mexico during the last two weeks of 2011. Not only does that mean a lot hotel business, but a lot of shopping too! 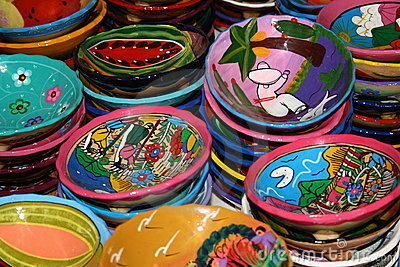 For those of us who take our shopping seriously, Mexico can offer plenty of treasures. Known for its small markets, local crafts and unique shops, it’s easy to get hooked. But just like any other foreign country, keep your eyes open and know that if it sounds too good to be true, it probably is. Here are a few of Mexico’s “best buys” and how to shop for them. Silver is always one of the most popular items for tourists. Mexico has long been the leading producer of silver in the world so you can usually find some very special pieces. 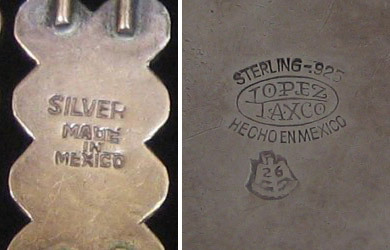 Mexican sterling silver will always be stamped “.925.” This means the alloy content contains 925 grams of silver per 1000 grams and this mark will authenticate the item. (The other 75 grams are copper.) Look very carefully for this on any silver item you purchase because if the imprint isn’t there, the silver isn’t solid or considered pure. If you are looking for something exceptional, keep in mind that Mexico is one of only two countries in the Americas that has amber. Found only in the southern Mexican state of Chiapas (yet sold throughout the county), amber is the only semiprecious stone derived from plants. 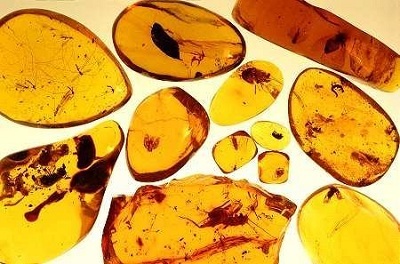 Amber is the fossilized resin of coniferous trees and four characteristics will affect its price: size (large pieces are usually used for sculpture), clarity, color (red is the cheapest, pale yellow the finest, and stones with green veins the rarest), and any fossilized bees, ants or other insects trapped in the stone. 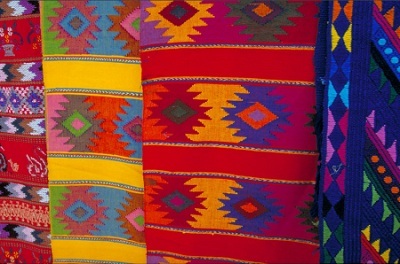 Be sure not to pass up Mexican textiles. Everything from thick sweaters and colorful serapes to intricate rugs, sturdy napkins, place mats, and gorgeous tablecloths can be found throughout the country. The small towns in the countryside still handloom most everything lending a particularly enduring quality to the work. If you want to double check the authenticity of something, remember that while wool and cotton burn and become ash, synthetic fibers melt. If you pull out a few small fibers and test them with a match, you should have your answer. Also, synthetic colors tend to be brighter than natural fibers. Finely woven pieces also take longer and use more yarn so they will inevitably be heavier. And, some of these folkloric garments may not be colorfast. It’s best to dry clean them or wash them separately in cold water to avoid bleeding and fading. If you’re like me, you’ll go crazy for the exquisite colors of the pots, jugs and dishes. Vibrant blues, yellows, reds and greens symbolize the very essence of everything Mexican. While it may be difficult to resist, don’t used your new glazed pottery for preparing or serving food, especially food with a high acidic content. The majority of this pottery is fired at a low temperature and therefore more porous and lighter in weight than pottery fired at high temperatures like stoneware or porcelain. Low temperature fired pottery is common source of lead poisoning. To test it, flick an empty piece with your fingernail. If it rings like a bell it is most likely high temperature and safe. If it sounds like you’re tapping on wood, it’s probably low temperature and may contain lead. As for customs and bringing your treasures home, it’s pretty simple stuff. You are exempt from paying duty on items totaling $800 or less that are acquired for your personal household use. (That means gifts you buy for people too.) They never get too sticky on this unless you are bringing in alcohol or cigars. You are allowed one liter per person and no Cuban cigars, If you did go a bit crazy, the duty on most items is well under 10 percent of their value. In addition, duty only applies to articles you bring with you at the time of your return to the U.S. and does not apply to items shipped at a later date. 10. This holiday season, many travelers may be looking for good deals on items from electronics to toys and apparel. However, keep in mind that items bought from street vendors may not only be counterfeit but could also pose safety risks. 9. Declare “duty-free goods,” even if purchased in “duty-free” stores. 8. Do not attempt to bring unauthorized fruits, meats, and dairy products into the United States without first checking whether they are permitted. **Oranges, Grapefruit, Tangerines, Sour Oranges, Sweet Limes, Guavas, Mangoes, Peaches, Pomegranates from Mexico are prohibited. Most fruit from outside the U.S. is restricted or prohibited, but if fruit is from Canada with proof of origin, it is generally admissible. 7. Know the difference between goods for personal use vs. commercial use. 6. Know the difference between prohibited merchandise (such as ivory, tortoise shell products, and counterfeit items) and restricted merchandise. 5. Be aware that many foreign manufactured medications are not FDA-approved and, consequently, cannot be brought into the U.S. Also, when traveling abroad, bring only the amount of medication you’ll need during the trip. 4. Do not attempt to return with Cuban cigars, no matter where they were purchased. 3. Know the rules governing the $800 exemption on goods brought back from abroad. 2. Understand that, CBP officers have the authority to conduct enforcement examinations without a warrant, ranging from a single luggage examination up to and possibly including a personal search. 1. Seasonal greenery, such as holly, mistletoe, and Christmas trees, are regulated for various pests and diseases. Gift Baskets: Gift baskets are inspected by the FDA, CBP, and the U.S. Postal Service (if mailed) to ensure products included meet the entry requirements. Please see Importing Gift Packs for further information. Baked Goods: Baked goods (including bread, cereal, granola bars, crackers, and cakes) are generally admissible. For pies with regional fruits and vegetables contact the POE you plan to enter. Candy, chocolate, and cured cheese are generally admissible. Canned goods and goods in vacuum packed jars (other than those containing meat or poultry products) are also generally admissible if being imported for personal use.